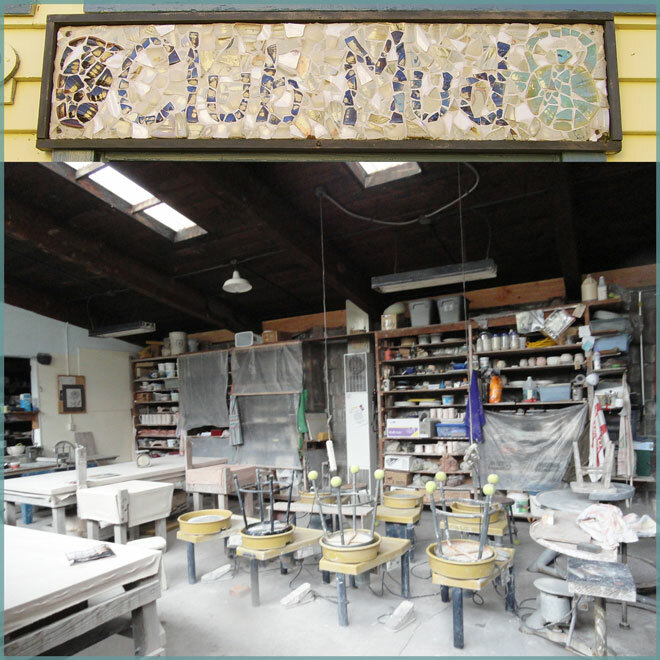 Club Mud is a not-for-profit, mutual benefit association of clay workers. The group consists of about 30 members and is located in the Maude Kerns Art Center ceramics studio (1910 East 15th Avenue, Eugene, OR 97403). Although we work in a cooperative atmosphere, all members work independently. The level of involvement varies from casual to full time occupation. Pick up a Club Mud pamphlet for additional information. Two types of kilns are used: electric and gas. To contact Club Mud members at the studio, call 541-345-1712.